President Donald Trump addressed his latest executive actions from the Department of Homeland Security. Mexican President Enrique Pena Nieto, who has insisted his country will not pay for a wall, is to meet with Trump at the White House next week. The orders Trump signed Wednesday also increase the number of border patrol and Immigration and Customs Enforcement agents to be hired. And the president ordered the end of what Republicans have labeled a catch-and-release system at the border. Currently, some immigrants caught crossing the border illegally are released and given notices to report back to immigration officials at a later date. The public policy organization source insisted on anonymity in order to outline the plans ahead of the president’s official announcements. Trump campaigned on pledges to tighten U.S. immigration policies, including strengthening border security and stemming the flow of refugees. His call for a border wall was among his most popular proposals with supporters, who often broke out in chants of “build that wall” during rallies. In response to terrorism concerns, Trump controversially called for halting entry to the U.S. from Muslim countries. He later turned to a focus on “extreme vetting” for those coming from countries with terrorism ties. 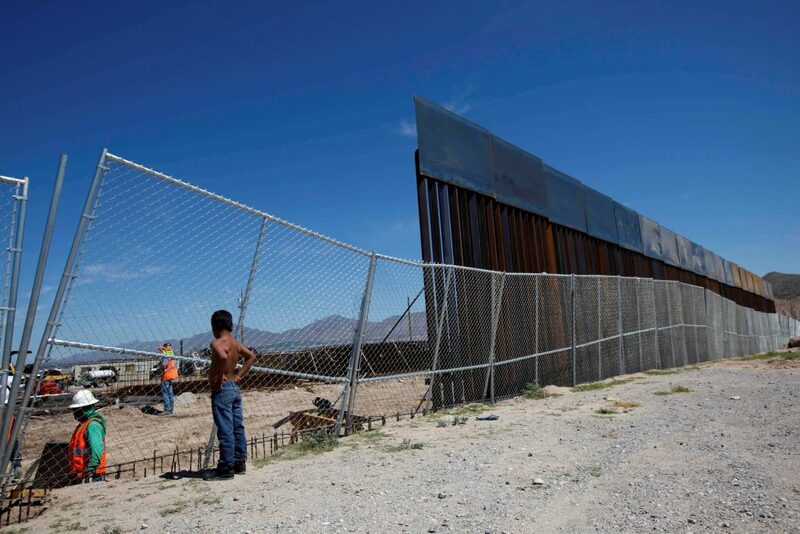 To build the wall, the president may rely on a 2006 law that authorized several hundred miles of fencing along the 2,000-mile frontier. That bill led to the construction of about 700 miles of various kinds of fencing designed to block both vehicles and pedestrians. The Trump administration also must adhere to a decades-old border treaty with Mexico that limits where and how structures can be built. The 1970 treaty requires that structures cannot disrupt the flow of the rivers, which define the U.S.-Mexico border along Texas and 24 miles in Arizona, according to The International Boundary and Water Commission, a joint U.S.-Mexican agency that administers the treaty. Trump’s order to crack down on sanctuary cities — locales that don’t cooperate with immigration authorities — could cost individual jurisdictions millions of dollars. But the administration may face legal challenges, given that some federal courts have found that local jurisdictions cannot hold immigrants beyond their jail term or deny them bond based only a request from immigration authorities. Zoll reported from New York. AP writer Alicia A. Caldwell in Washington contributed to this report.